Rising contract prices for trucks had an impact on third-quarter results of logistics firms C.H. Robinson and Hub Group, which saw weaker profits despite greater revenues as they had to spend more to secure trucks. The trucking industry is seeing margins decline for brokers that locked in their client payment rates early in the year. As summer went on, brokers had to pay more to hire trucks as capacity tightened due to a rise in demand and a string of weather events spawned emergency shipping needs. C.H. 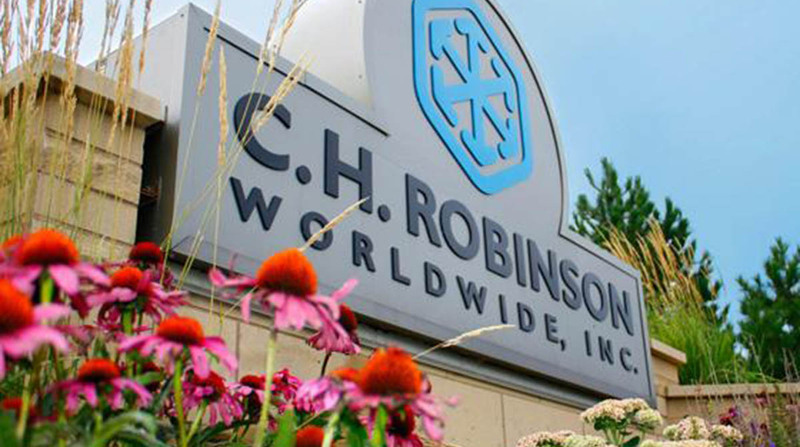 Robinson reported net income of $119.2 million, or 85 cents a share, down 7.6% from $129.0 million, or 90 cents, for the same period a year ago. Gross revenue rose 12% to $3.8 billion from $3.4 billion. Contract prices account for nearly 65% of the business of Eden Prairie, Minn.-based C.H. Robinson, which ranks No. 5 on the Transport Topics Top 50 list of the largest logistics companies in North America. The firm operates three major divisions: North American Surface Transportation (NAST), Global Forwarding and Robinson Fresh. NAST accounted for about 93% of total North American truckload net revenue in the quarter, while most of the remaining revenue fell under the Robinson Fresh division. NAST recorded gross revenue of $2.5 billion, up nearly 10%, driven by pricing increases for its services. However, income from operations fell 11.8% to $151.4 million. “NAST truckload net revenue margin decreased in the third quarter of 2017 compared to the third quarter of 2016, due to transportation costs rising faster than truckload pricing,” the firm reported. Within NAST, the truckload group’s net revenue declined 2.6% to $301 million. The less-than-truckload group had net revenue rise 5.6% to $101.9 million. LTL volumes rose about 6.5%. The Ocean unit saw a rise in net revenue of nearly 44% to $81.2 million. The Global Forwarding division reported gross revenue of $552.1 million, up 41.3%, while income jumped 83% to $31.1 million. The acquisitions of APC Logistics and Milgram & Co. accounted for 18% of the net revenue growth. The Robinson Fresh division reported total revenue of $613.6 million, up about 4%, while income fell almost 35% to $11.6 million. At Oak Brook, Ill.-based Hub, revenue topped $1 billion for the first time. It earned $15.3 million, or 46 cents, on revenue of $1.05 billion. That compares with net income of $17.9 million, or 54 cents, on revenue of $932.8 million in the third quarter of 2016. Profits were negatively affected by costs and inefficiencies associated with recent hurricanes and consulting costs for a network optimization study, the company said. It also recorded a tax benefit of $3.1 million, or 9 cents, that reduced its tax rate to 22.5% in the quarter from a normal rate of 38%. Intermodal revenue overall increased 2% to $474 million and mostly reflected an increase in freight rates and fuel surcharge revenue. Slower rail service has hurt the competitive position of Hub’s intermodal business and Yeager said the company does not anticipate an improvement in the near term. Hub Highway, the company’s truck brokerage unit, saw revenue increase 17% to $113.2 million and handled 3% more loads with higher gross margins. Revenue for Unyson Logistics, a supply chain consulting business, increased 14% to $175.7 million due to growth with new customers. Revenue for Hub Group Dedicated was $58 million in the quarter, up about 5.5% compared with the prior year. The unit is the renamed Estenson Logistics, a dedicated contract carrier that Hub acquired on July 1. Mode Transportation, a separate multimodal freight brokerage unit, reported gross revenue of $258.7 million — a gain of 3%, with intermodal revenue falling 2%, truck brokerage rising 10% and logistics revenue gaining 5%. Hub Group ranks No. 8 on the Transport Topics Top 100 list of the largest for-hire carriers in North America and No. 28 on the TT Top 50 Logistics Companies list.